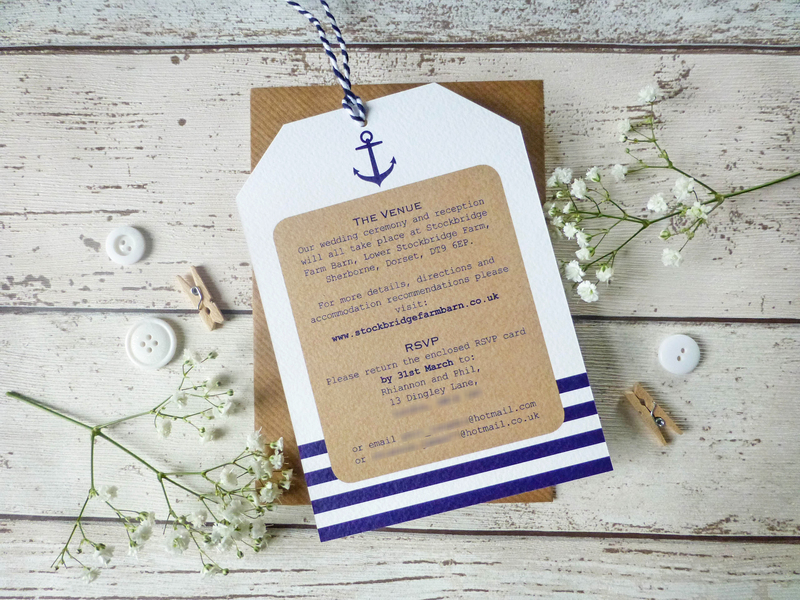 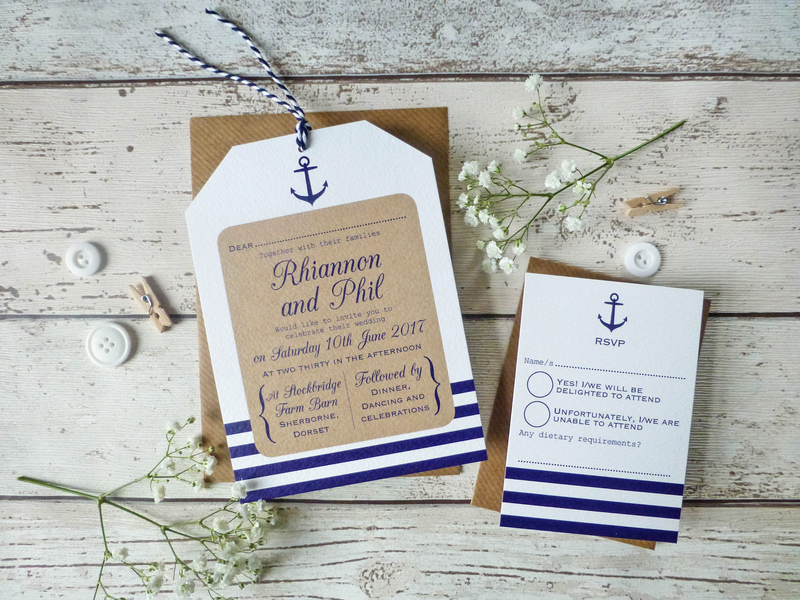 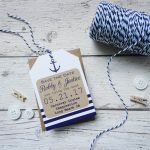 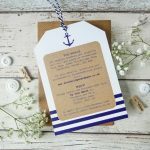 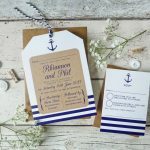 Nautical Wedding Invitation with kraft effect, navy stripes, anchor detail and blue and white twine ~ perfect for weddings by the sea, on the beach or abroad. 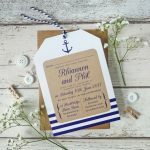 The invitation is a flat, double sided, single A6 card with the wedding invitation on the front and further wedding info printed on the back. 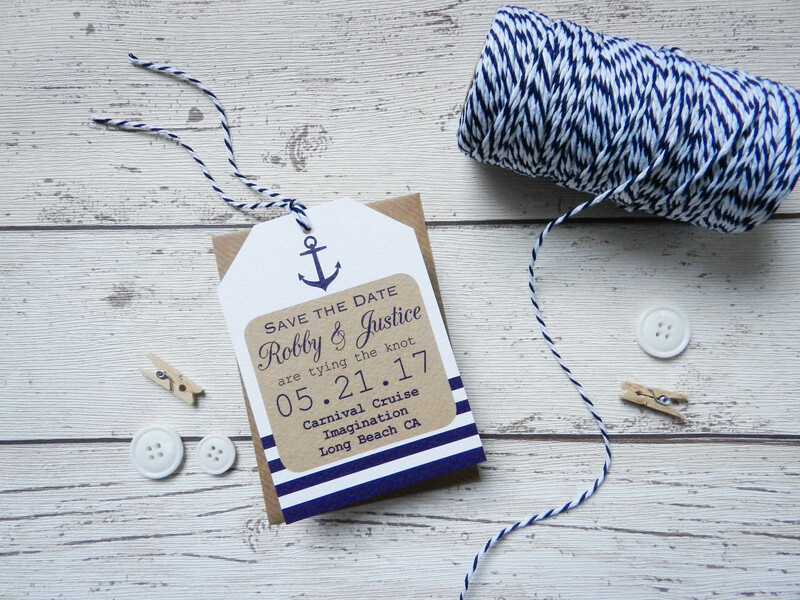 Blue and white baker’s twine is tied through the top to give the feel of a luggage tag. 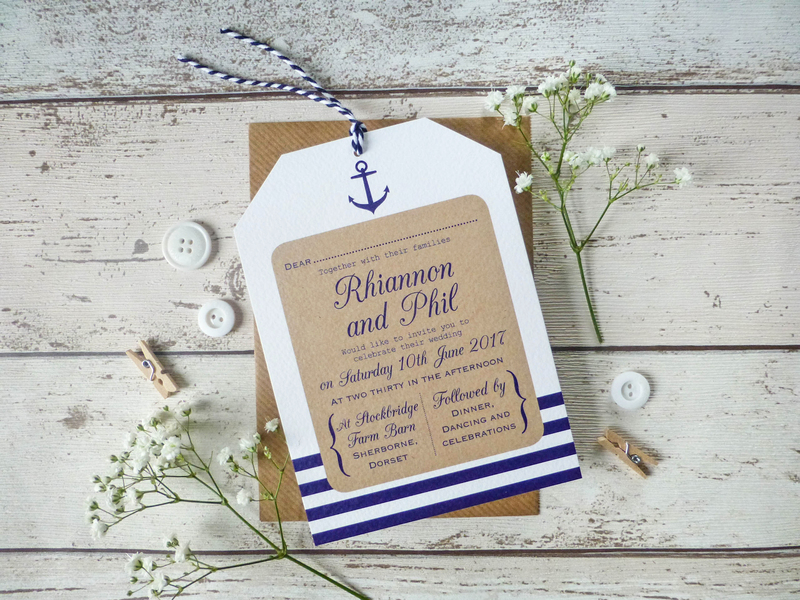 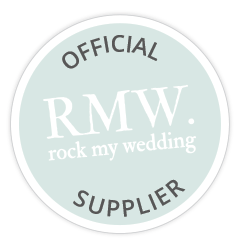 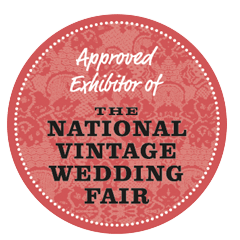 The wording and layout is fully customisable and I can even change the colours if you require an alternative colour scheme.